Student housing is available to any registered student and does not have a minimum unit requirement. If you are interested in student housing, contact the Student Housing office at (530) 752-2033 and refer to the UC Davis website http://housing.ucdavis.edu/prospective/graduate-professional-housing.asp. Parking permits may be purchased through Transportation and Parking Services (TAPS). C-permits are available to students for purchase and may be used to park in any “C” lot. The TAPS office is next to the West Entry Parking Structure off of Hutchison Drive. To purchase a permit online, visit http://taps.ucdavis.edu/parking/permits/rates. Email Accounts may be set up using your student login ID and password. Computer labs on campus are available to all students using a student ID and password. 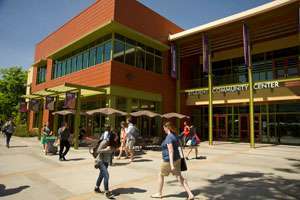 For locations and hours, visit http://clm.ucdavis.edu/rooms/. Your student ID card also serves as a library card. 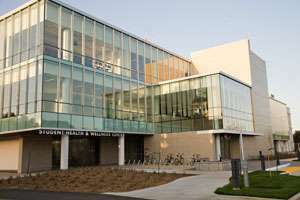 UC Davis has an extensive network of campus libraries and many of the journals are in electronic format and available online to UC Davis students. Some student employment positions are not available to Forensic Science graduate students as the program is self-supporting and not eligible for services supported by state funds (this is the case with most positions through the Student Employment Department). However, you are eligible to apply for and accept any campus position that is open to the public. This includes both permanent/long-term positions through the Campus Employment Office, positions paid from grants and positions within the Temporary Employment Pool. This would include positions such as graduate research assistant, teaching assistant, or research assistant. The Office of Student Judicial Affairs serves the campus by enforcing student conduct standards and by upholding student rights and responding to student grievances. SJA works with students, faculty, administrators and staff to promote academic integrity, ethics, and student learning in a safe and civil campus environment. UC Davis is committed to diversity among its students. Learn more about our services and resources available to support diversity.